2. Yeh nayan dare-dare (Kohra, 1964): Biswajit isn’t one of my all-time great actors, but he certainly had some awesome songs picturised on him. The songs of Kohra and of Bees Saal Baad, for both of which Hemant sang playback for him, are a case in point. And this is one of my favourite songs, ever; so gloriously romantic and gentle, it gives me gooseflesh every time I listen to it. Hemant’s humming, and that low, soothing singing is nothing short of mesmerising. 3. Ya dil ki suno duniyawaalon (Anupama, 1966): Another favourite song from another favourite film which, incidentally, had Hemant as its music director. There’s a sensitivity and a beauty about Anupama that few films can match, and the same could well be said of Ya dil ki suno duniyawaalon. Kaifi Azmi’s lyrics are touching, and Hemant does full justice to them, in a voice full of pain and sympathy for another who finds it difficult to articulate her feelings. 4. 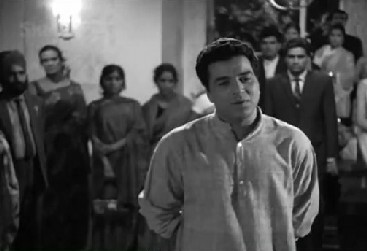 Jaane woh kaise log thhe jinke (Pyaasa, 1957): This song resembles Ya dil ki suno duniyawaalon in that here too the singer is standing in the midst of a party and singing a song of woe. But Jaane woh kaise log thhe jinke is more heart-rending, I think, with far more bitterness and none of the comfort of knowing that there is someone to share the burden of that sorrow. Kisko fursat hai jo thhaame deewaanon ka haath (“who can spare the time to befriend a madman?”) sings the disillusioned poet, and you can feel that emotion in every breath of Hemant’s voice. Heartbreakingly poignant. 5. 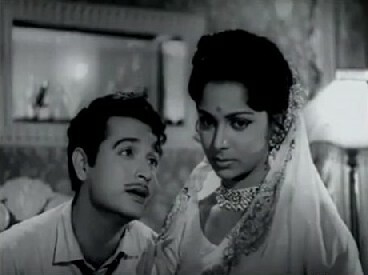 Na tum humein jaano na hum tumhe jaanein (Baat ek Raat ki, 1962): Hemant also sounds so perfect when he hums, doesn’t he? And this song starts off with that, before moving into an equally beautiful set of vocals. High notes, low notes: he sings it all in a smooth, romantic style that’s enhanced by the warm intimacy of that faintly Bengali accent. I love it! (And Suman Kalyanpur’s cameo in the song is just so. It couldn’t have been better). 6. 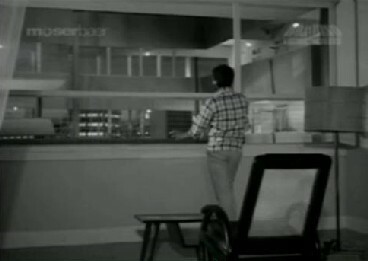 Hai apna dil toh aawaara na jaane kis pe aayega (Solvaan Saal, 1958): A far cry from the romantic softness of Yeh nayan dare-dare and the melancholy of Jaane woh kaise log thhe, Hai apna dil toh awaara allows Hemant to show off his adeptness at more light-hearted songs. This one’s deliciously flirtatious, and Hemant’s voice, smooth and oh so attractive, is perfect playback for the equally attractive Dev Anand. No wonder he has everybody (or almost everybody) in the compartment grinning at him! 7. Mujhko tum jo mile yeh jahaan mil gaya (Detective, 1958, with Geeta Dutt): This has been one of my favourite romantic songs for many, many years: an exceptionally melodious tune in the voices of Hemant and Geeta Dutt. And remember what I said about Hemant’s humming? This song starts off with that too, and Hemant’s voice itself is particularly velvety and attractive. And so well suited to Pradeep Kumar. 8. 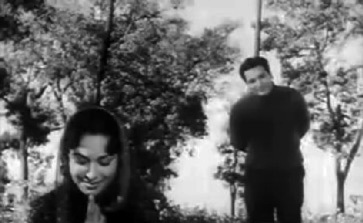 Beqaraar karke humein yoon na jaaiye (Bees Saal Baad, 1962): Hemant sings for Biswajit, in Biswajit’s debut Hindi film. Bees Saal Baad had a stunning score (by Hemant himself; another superb song is Zara nazron se keh do ji) —but the best, in my opinion, is this song. It’s a flirtatious yet romantic tune brimming with the imagery of a beautiful day in the countryside: the dark, rain-filled clouds; the roses; the bees… and a lovely girl who needs just a little bit more wheedling to bestow more than just an amused smile on a smitten admirer. 9. 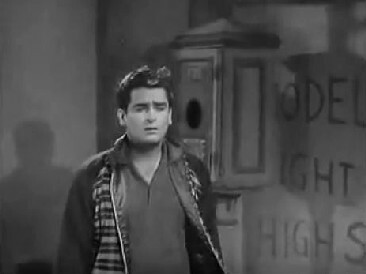 Ay dil ab kaheen le jaa (Bluffmaster, 1963): An unusual combination, this: Hemant sings playback for Shammi Kapoor—and creates a moving song of remorse, of a young man suddenly realising that life is not a bed of roses and that his far-from-scrupulous past has finally caught up with him. I wouldn’t have believed that Hemant could be such a convincing playback for Shammi Kapoor, but he is: the deep but controlled emotion of the song comes through perfectly in Hemant’s voice. 10. Teri duniya mein jeene se toh behtar hai ke mar jaayein (House No. 44, 1955): Hemant sang a lot of playback for Dev Anand. This song, though its lyrics are far from peppy, has a light tune punctuated by an unusual hooting. It begins with Hemant’s trademark humming, and then flows along, gentle as the ripples in a pool, finally soaring up into a plea to the Almighty for a little bit of happiness. Very distinctive, and very easy on the ears, especially as the background music (dominated by a harmonica) is minimal. Hero Heera Lal: Yes, Tum pukaar lo is one of those songs that, once you’ve heard, you can’t get out of your consciousness, it’s just so completely (and in the truly literal sense of the word) haunting. The lyrics, the music, Hemant’s voice – I can’t imagine a better combination. stuartnz: Happy discovering Hemant! Jaane woh kaise log thhe jinke is of course fabulous, but yes, there are a lot of other equally gorgeous Hemant songs out there… by the way, Bluffmaster has the strange distinction of having four different singers sing playback for Shammi Kapoor: Hemant, Rafi (of course! ), Mukesh, and Shamshad Begum – the latter for that qawwali in which Shammi’s in drag. Lovely. You’ve got all my favourite songs in there. And now that you mentioned it, I realized that Hemant Kumar’s was the first voice I learned to identify too. I’d compiled a cassette of these songs, and I loved them as a teenager. Still do. 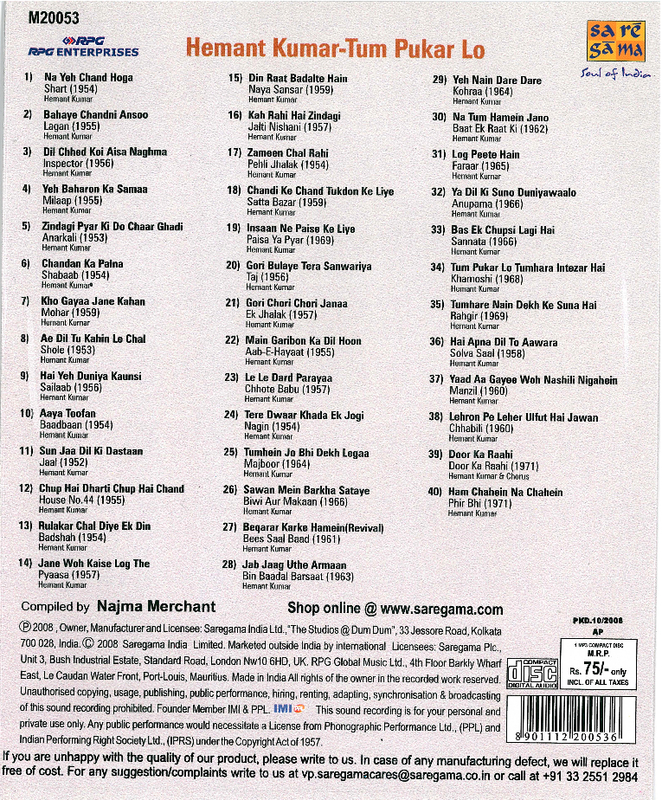 Wonderful list..For me ‘Ye nayan dare dare’ and ‘Tum Pukaar Lo’ would be the best of Hemant Kumar’s. On reading this list, what struck me most is the quality of Hemant as a music director. His tunes were so simple, yet behind that simplicity was a complex thought process. I would include 2 more songs as my personal favourites, ‘Vande Mataram’ (sung with Lata, music by Hemant), where his sonorous voice is a perfect foil to Lata’s amazing rendition and a Marathi song ‘Mee Dolkar Daryacha Raja’ (sung with Lata, music by Hridaynath), which is a fantastic ‘koli’ (fishermen) song. BTW, had ‘Tum Pukaar Lo’ been picturised on someone else, it wouldnt have been as heartrending as it became. I mean, a ten-out-of-ten man (Dharmendra) singing that sort of a song…. but again, had it not been sung by Hemant Kumar, then too the effect would not have been there…. Shantanu: Yes, Hemant as a music director too is awe-inspiring. His tunes are uncomplicated and tend to showcase the singer’s voice rather than drown it out with orchestras. I love Vande Mataram too, but tend to think of it as more a Lata song than a Hemant song (which is also the case with the beautiful Jaag dard-e-ishq jaag from Anarkali. Thank you for telling me about Mee dolkar daryacha raja: am off to try and find it to listen to! Hero Heera Lal: And the interesting bit is that all through the film you almost never see Dharmendra’s face! Khamoshi is a fine example of very skilled film-making. Superb. These guys of the same era had total devotion for their work. Dustedoff, thanks for thinking of me about the DVD. I had a dilliwali friend get me some when she went home in January and Bluffmaster was on my wishlist but she couldn’t find a copy in the time she had, unfortunately. ash: Your additions include some other ones that I like a lot! Yaad kiya dil ne kahaan ho tum, Insaaf ki dagar pe bachchon dikhaao chalke, Dil ki umangein hain jawaan and Chup hai dharti chup hain chaand sitaare. 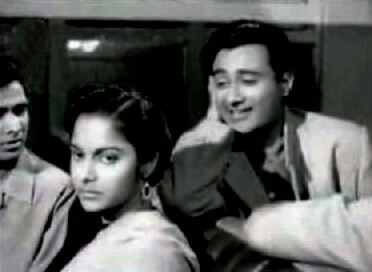 Another song that I’ve only heard (I haven’t seen the film, Duniya jhukti hai), is Gumsum sa yeh jahaan, with Geeta Dutt. stuartnz: Bluffmaster is one of those films that can be a little hard to get hold of if you only look in the stores, even in Delhi. It’s easier to find and order online, for instance from http://www.induna.com. Thanks for the reminder about Induna – I got dvds from them in 3 days once from India and ordered on a weekend. I simply MUST own a film with a qawwali featuring Shammi in drag, especially if he’s voiced by my 2nd-favourite female singer. I adore Shamshad! I am glad I can love Hemant AND Rafi AND Manna Dey AND Kishore Kumar AND Saigal…. Dusted off (sorry don’t know your name!) – Thanks for checking out my favs. Ash: chup hai dharti! That’s a simply great song ..
Another great thing about Hemant was his role as a producer. Bees Saal Baad, Kohraa and Khamoshi were all produced by him. All these films were unique thrillers, with great stories. bawa: AND Talat Mehmood AND Mahendra Kapoor AND Bhupinder, AND lesser known talents like Subir Sen and S D Batish. There were so many wonderful voices back then. Interesting you should say this. I commented on another filmi blog about how rare such an attitude seems to be in the filmi blogosphere. Desi fans who care enough to either write blogs or comment on them seem to be overwhelmingly exclusive in their devotion, acting as if having a favourite requires one to trash and contemn all others. Thanks for being an exception to this pattern! Speaking of Madhulika, you wouldn’t happen to know of any NZ booksellers carrying her work at present would you? :) I can’t find “The Englishman’s Cameo” in stock anywhere here. P.S. Re: the book. Not yet, unfortunately. :-( But October onwards, Little, Brown will begin distributing The Englishman’s Cameo across the world (other than North America), so one should be able to get it in bookstores or at least online. Thanks – I look forward to October! Gumsum Sa Yeh Jahan with Geeta Dutt, another super duper voice, I was kinda shocked to see how many songs she sang in late 40s/50s/60s, IT IS AMAZING….. I am getting Gumsum right now and refreshing me memories, yu know something I have a collection somewhere which has Hemantda rare songs, gotta dig it out and see what the treasure holds……. Wonderful post as usual, dustedoff. A very sweet gesture on his birth anniversary. I thought of adding some of my own favourites but ash has listed nearly all the others which you didn’t. In fact, thanks ash for reminding me of those wonderful ones from Bin Badal Barsaat especially the duet Zindagi kitni kubsoorat hai. Great to be discussing Hemant Kumar songs. Love these posts where we can concentrate on one theme – Mohd Rafi, or Johny Walker or Bela Bose. pacifist: Thank you so much! I love doing posts like this too, because Hindi cinema has had so many great talents, and sometimes the very act of thinking up ten favourites can be a real challenge! Outside of the US and Canada, Amazon and other online stores should start distributing the book in October. If you’re in India in October, it’ll probably be easier (and cheaper!) to buy it here. Most major stores – Om Bookstore, Landmark, Oxfordbookstore, Crossword, etc – stock it. May be even more convenient if you order it online (at flipkart.com, for instance) and have it delivered to wherever you’ll be staying. O, it was Hemantda’s birthday! Just by chance the film which I watched yesterday also had music ffrom him Sahib Bibi aur Ghulam. I’ve this song of him, a duet with Geeta Dutt, which is on the tip of my tongue but can’t remember, something to do with chanda! Another song of his which couldn’t feature in your list since it si from the 70s is ‘Aaja mere pyar aaja, ab to aise na satha’! Fabulous list!!!! Happy Birthday Hemant Da!!! Just the other day I was raving about Hemant Kumar and my newly discovered love for him @ Harvey’s blog . Very true…Hemant’s voice is very distinctive. And like bwa I’m also very glad that I can love Hemant AND Rafi AND Manna Dey AND Kishore Kumar AND Saigal AND Talat AND Mahendra Kapoor AND Asha AND Geeta Dutt AND Suman Kalyanpur AND Shamshad Begum…. He has such a sonorous voice and all his songs are so hauntingly melodious that I get gooseflesh most of the times when I listen to them. Lovely, lovely list! Must have been a tough job picking just 10 favorites – ALL his songs are lovely. All my other favorite songs Much as I love his Hindi songs (and I do love them a lot!) I like Bangla numbers even more. I happened to hear a couple of his Rabindra Sangeet songs that turned up, of all places, in Siddhartha – and spent hours and hours hunting up his Bangla songs on youtube. The two recently discovered songs that I haven’t been able to stop playing over and over are Purano sei diner kotha, Tumi robe nirobe. I need to get hold of the films, just for those songs! Also, I discovered Dhanno dhanney pushpe bhora which I am pretty certain is Hemant da, too – though there are quite a few other Bengali singers who sound like him (like Subir Sen and Dwijen Mukherji). harvey: I’m looking forward to reading your review of Sahib Bibi aur Ghulam: it’s one of my favourite Guru Dutt films, and had such superb music. A Hemant-Geeta Dutt song and something to do with chanda?… no, I can’t recall anything of that sort. But there are dozens of songs out there that I haven’t heard! In fact, I don’t even recall the song Aaja mere pyaar aaja: which film was it from? Sunheriyaadein: Our Hemant lists are uncannily alike! The only song that I’m not especially fond of (and this is for reasons completely personal!) is O neend na mujhko aaye. I remember, when I was a kid, my father used to occasionally pass comments on songs that were being aired on Chitrahaar or whatever, and this song plus Karvatein badalte rahe saari raat hum used to invariably elicit the remark: “Kyon? Khatmal kaat rahe thhe kya?”! Ufff. That really soured those two songs for me, even though both are good songs by themselves. bollyviewer: Thank you for finding those lovely Bangla songs! Purano sei diner kotha sounded vaguely familiar – a bit like Ol’ man river, I think. Now I need to try and find the films as well. Oh, and thank you so much for Dhanno dhanney pushpe bhora! I’ve loved that song ever since I learnt it back in school (we had to learn a bunch of patriotic songs in regional languages, and this was the only one I really liked). It does sound like Hemant – I can’t vouch for Dwijen Mukherji, but I can recognise Subir Sen, and I don’t think that’s him. By the way, guess where I heard Dhanno dhanney pushpe bhora? Being played by the Bangladesh Army band at the International Military Music Festival in Delhi this spring! Its funny how strong childhood memories are! I remembered Dhanno dhanney pushpe bhora too, and looked it up on youtube. There’s even a Hindi translation which sounds just as lyrical (the translation was done by Hindi writer Shivani). I am not surprised at the Bangladesh Army Military band playing this. Youtube has Bangladeshi singers singing it, too. And I remember a Bengali friend back in grad school singing a Tagore song – Amar shonar Bangla – which I later found out was Bangladesh’s national anthem! The ties of Bengal seem to have survived a lot of partitioning!!!! Harvey, were you looking for Na yeh chand hoga? was sung as solo by both Geetadi and Hemantda ? Lyrics by S H Bihari ? from Heeralal-Pannala, MD by another maestro Panchamda ? Oh now I know why yr dad was passing those remarks, it has to be that the khatmaals were making him karvatein badalding while trying to sleep and neend not aandhing bcos they were biting. bollyviewer: Yes, our ties with Bangladesh seem to be pretty strong. I had no idea Amar shonar Bangla was their national anthem. According to this article on the music of Bangladesh, Rabindra Sangeet and Nazrul Geeti seem to be very popular too. ash: Hah! I don’t think my father’s ever had any problems with khatmals; he’s just got a very whacky sense of humour which makes him poke fun at a lot of cinema and a lot of music, even if he likes it. Oh, so that Aaja mere pyaar aaja is from Heeralal Pannalal? I seem to recall watching the film ages ago, but can’t remember the song. I do not know how one can claim to love music/singing/ and then be so deadset against ALL works of the rival’s of one’s own favourite. I can understand people not liking some singers or a type of music or a song, but to actually trash someone esp. with some very bad language: that is totally uncomprehensible. Very difficult for me to choose a favourite anyway. Love to listen to anyone who sings well or a good song. Madhu:- thanks for adding all those names- I forgot to put in etc. at the end, because my list goes on for so long (including all those classical/ghazal/pakistani, etc. singers). am waiting for the englishman’s cameo too! Great post as usual, i love that first song from Khamoshi so hauntingly cool if i must deccribe how it made me feel. Happy belated Birthday from me to Hemant, i had no idea he was a singer too, the first time i noticed/came across his talent was in Ek hi raasta which had fab songs like chali gori pe milan se chali, ‘sanware saloni’ amongst others then in Nagin where he totally stole my heart with ‘jaadugar Saiyan’, another film of his i saw recently is Jagriti, but i didn’t like the songs in that as much as all his previous work that I’ve stated above. bawa: I’d go so far as to say that blind devotion to the extent of deriding everything that falls outside the boundaries of that devotion is a symptom of being ‘poor in spirit’. Disagreement is fine, even welcome – but not when it takes the form of a vicious, virulent attack. Random Musings: Thank you so much for that lovely Hemant song from Door gagan ki chhaaon mein! I hadn’t heard it before – the only song I remember from that film is Aa chalke tujhe, and this one was a fabulous discovery. Thank you also for telling me what Kuheli was about. I have seen Kohra (and the film from which it was inspired – Rebecca), but I didn’t know about this one. Will look out for it! bollywoodeewana: Oh, thank you for reminding me of those ones. :-) Nagin had some superb songs, and I like Saanwre salone aaye din bahaar ke – it’s one of my favourite bicycle songs! I find Biswajeet a little too feminine; otherwise, he seems to me no better or worse than most of the actors of that era. But yes, he does have some absolutely awesome songs picturised on him – in Bees Saal Baad, Kohra, Mere Sanam, Kismat, etc. Oh Jeetu Bhai aka Jumpin’ Jack in his earlier phillums was acceptable, after he went to Southies full speed, NO. … oh ho what do we see, one Bombshell BELA BOSE song, must rip it out and share with folks.. as u know Bela has been in the news in the Blogs. Murder in Circus? Goodness, I’ve not even heard of this. Would love to get hold of a copy! Must look around for it. Like you, I find Jeetendra in his early films pretty tolerable; it’s beyond the mid 70’s that he started to irritate me. But in films like Humjoli, Waaris and Ek Naari Ek Brahmachari, he’s fine. Even Ajit, in his earlier films, isn’t bad. I liked his role in Mughal-e-Azam, and there’s a good film called Nastik, which starred him opposite Nalini Jaywant. 4. Murder In Circus-	Jan 1 1971	.. unfort not listed in IMDB ! Note his love for releases on JAN 1. Remember Harishchandra Taramati (1963) , fantasy film ? with Prithviraj ? Babasa Ri Laadi (1961)… not seen this yet, no copy available so far !! One thing we must say these guys made what they believed in, they went out and made it. That’s a big plus for these guys for sure. and our desi James Bond, Farz… he sure was jumpin’ up n down, super songs here. p.s. Murder in Circus is on Friends label, they are bringing in quite a few VHSrips of oldie goldies, and yu hv much more choice in Del, esp for oldie goldies. Friends is also based there incidentally. 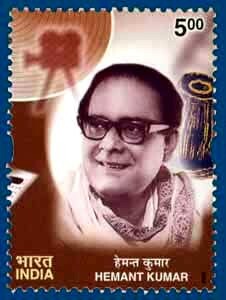 A belated happy birthday to Hemant Kumar. (Wow, there sure are a lot of Golden Age Bollywood birthdays in June!) I have been away from my computer for more than a day (I know, it’s nearly unthinkable…), so I have yet to see/listen to much of this list (which looks very good, with songs described so well – though unfortunately, the only one I can recognize instantly is the song from Pyaasa). Also, I will have to go through the lists in the comments section… I usually like Hemant Kumar’s songs, quite a bit. ash: Those are some very impressive lists! And thank you for letting me know that Friends is based in Delhi – I’m going to go clobber them someday for messing up old films the way they do. Random editing, a very gaudy logo plastered all across the screen, little or no digital improvement: they have a lot to answer for. It’s a pity that they seem to be the only ones putting out DVDs or VCDs of the more obscure old films. I agree Naagin had great music. Vyjyantimala’s dancing too is good – or what I remember of it. I saw the film years ago, I guess when I was a teenager, and the only thing that’s really stuck with me is that it was a very avoidable film as far as story was concerned. Somehow, all that business of people shapeshifting and becoming snakes (weresnakes?) was just so… um, hard to swallow. And Bollywood seems to have continued to think it a good idea over the years. “Rehman’s on the 23rd.” Which Rehman? Not Waheedaji? I find her DOB listed as May 14. That’s a “10 moods” I’d love to see. I watched Delhi-6 last night, and besides being filled with a longing to see the city my dadaji was born in, I was again struck by how awesome that lady STILL is, she rocked that film. I also loved that there was a reference to my favourite of her films (and 1 of my top 5) in Delhi-6 with a snippet playing of saajan re jhoot mat bolo (also, IMO the best opening I’ve seen yet). So if anybody is looking for ANOTHER list idea, have that one – just be sure that you dislike Guide as much as I do. Very nice list dusted off–Tum Pukar Lo is a favorite.I have many of these on my Hemant Kumar playlist. Also like Kaha le chale ho from Durgesh Nandini (sung by Lata but also by Hemant) a lot. And some of the songs on Dev Anand such as Yaad Kiya Dil Ne Kaha Ho Tum. Also love love love Kuch dil ne kaha from Anupama–Hemant da was the MD which is probably why it is not on your list. It’s my all time Bolly favorite. Hemant da gave us such great music. Thank you for making this nice list. Of singers I have heard very little of him, and this is a great way to become familiar with his work. Thus far I’ve only listened to “Yeh nayan dare dare” which is very pretty, and Bisawajit looks pretty good in black-and-white with a mustache. I’ve only seen him in color without. Visiting here after a long time, Madhu. What a fantastic top-10 list. “Tum pukar lo”, “Ya dil ki suno”, “Jaane wo kaise”- just very very special songs. I see that many more have been added here (mainly by Ash! He is an encylopaedia :-) ). I will add just one more. For a special reason. I heard this song as a very young boy, way back in the early 1970s. For years, I thought it was Saigal saab’s song. I had not heard the song for years so wanted to listen to it again. Checked it on youtube a few years back – and was totally surprised to see it is a Hemantda song. 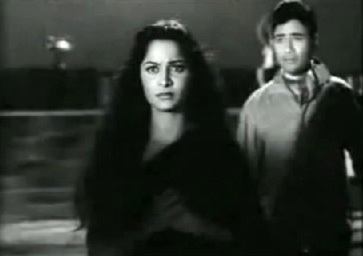 The song : “Tere dwaar khada ek jogi” (Nagin-1954). I believe this was a pretty popular song in its time – but then many songs of Nagin were popular. And I am TOTALLY with you and others here who cannot stand people who insult singers purely because they are fanatical about one singer. I have enjoyed songs of almost ever one of the golden voices (including lesser-known names like Subir Sen and SD Batish) and have a lot of respect for them all. If you are a true music lover, your love rises above personality. It is about the music first and foremost. The other day I was listening to songs of Dholak (1951). Very nice to listen to Satish Batra and Sulochana Kadam. I had never heard of them before – such a fantastic experience to listen to their voices. Songs of this movie are just so much fun. Stuart: No, no – not Waheeda. I mean Rehman, the male character actor who acted in films such as Chhalia, Chhoti Bahen, Dulhan ek Raat ki, Waqt and Shikar. 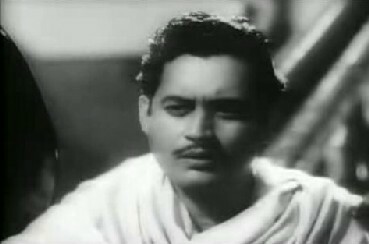 His best known roles are probably the ones he played in some of Guru Dutt’s films: as Meena Kumari’s neglectful husband in Sahib Bibi aur Ghulam, as Mala Sinha’s husband (and the publisher) in Pyaasa and as Guru Dutt’s friend and unwitting rival in Chaudhvin ka Chand. sophy: Kuchh dil ne kaha is a beautiful song. Wonderful lyrics, and such gentle music. Maybe next year, to celebrate Hemant’s birthday, I’ll do a list of my top ten Hemant songs as a music director and not as a singer. Thanks for giving me that inspiration! raja: Good to have you back! I’ve heard Tere dwaar khada ek jogi too, but will need to go listen to it again… I remember it’s by Hemant, but need to refresh my memory a bit. That is embarrassing – to have seen Rehman in two movies I really liked (although I may not like Chaudhvin ka Chand quite so much next time) and not know him. I really enjoyed Waqt, so much so that I rant at anyone who calls the modern atrocity Waqt:Race Against Time by its short name. I admit I’m not a fan of Hemantda as a solo artist (I really only like one solo by him – tum pukar lo), but I think he makes a fabulous duet partner – especially with Lata. And when I think of Hemant-Lata duets, the first song that comes to mind is the Shanker-Jaikishen masterpiece from Badshah – Aa neele gagan ke tale pyar hum karen. Stuart: Waqt (the real one, not the Race Against Time one) was so entertaining, wasn’t it? One of my favourite formula films. Rehman was a good actor; it’s sad that even in his younger days, when he was as dashing as (if not more!) than most leading men, he never made it to the hero bracket. Absolutely DO, Rehman Saheb was a chip of da ol block, he had flair and am told he cud carry any lady with his charm. As a actor very much forgotten and that is sad, def need to remember him in our Blogs and did yu know he was Air Force pilot b4 he joined films ? In 1977, he suffered three heart attacks after which he got throat cancer and died after a prolonged and painful illness in 1979. And guess what, there are yet more Golden Age birthdays in June! June 16 was the birthday of Kumari Kamala/Kamala Lakshman Narayan (also formerly known as Baby Kamala, for fans of’40s films). (I thought it was June 26, because that’s when they celebrated her birthday at her dance school (i.e., the one that she was still teaching at last year and must still be teaching at this year! )… But her actual birthday was June 16. Richard: The little girl who danced so beautifully in Kismet? I hadn’t seen her in any other films (or not that I remembered) until I saw Kismet, but even that brief appearance was enough to impress me a lot. Happy birthday, Kamalaji! 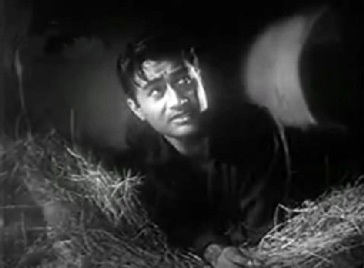 and in Batwara 1961, he along with Pardeepda and Balraj Saheb had equally strong role, ditto with Chhoti Bahen (1959). Can we add Nargis (1946) along with Nargis ofcors, and David ? I am astonished a man of his caliber was ignored after the 50’s as a main hero, perhaps no role was written/given which wud have suited his capabilities. Or mayb our Bollywood is just like that ? Shalini: Oh, thank you soooo much! I just watched Ankhiyaan milaake, and was enchanted. ‘Super cute’ is the perfect way to describe that song and its picturisation. I did find it on induna, though Magroor doesn’t seem to be around. Will keep an eye out for it. Oh tru yu may pass off Badi Bahen just as G did, but as far as songs are concerned, absolutely TOP of the world. I envy you the discovery of gems like Tum pukaar lo and Yeh nayan dare-dare! The others, too, but these two songs at least give me gooseflesh every time I even think about them. Super.. unfort have not got hold of this phillum yet, but wil def do. MD Salilda, Lyrics Prem Dhawan Saheb. If any 1 wants this let me know. Check it out yu will like to play it over n over again. Check it out folks, yu will love it. it is probably the title or the start of the song and also this particular song that is not easily avail on the Internet, but never mind I have it ready in my HD so here refresh your kiddie days and check out the start of the song, luckily this is a full song, no cuts. Remember we also had another Hemantda track- Ganga aaya kahan se Ganga jaaye kahan re.. superb rendition. Yep indeed Mannada the Maestro did a fab job with Aaye mere pyaare watan, sung with his soul…), total devotion. And yes, I really like Ganga aaye kahaan se too: beautiful song, and somehow Hemant’s voice suits it perfectly. BTW, have you heard Bhupen Hazarika’s rendition of Ganga behti ho kyon? Another great paean to the Ganga. Ganga behti ho kyon, this one has both Hindi and Bengali bhasha, right ? and big orchestration ala Shankar Jaikishen style ?, I saw a rendition live on TV and d/l a MP3 also, superb all around, without doubt. Yes, that’s the one. Beautifully sung! And how come noone is talking about ‘Yeh Raat Yeh Chandni Phir Kahan’ from jaal? A great great song. Very true. That’s another wonderful Hemant song. From 1960 I think and had the sisters Nutan and Tanuja in it. G8 jodi. Am sure yu and readers who may not have heard this Hemantda super number will like it. Ash, lovely song! You know, I’d never actually heard this one (or didn’t remember), but as soon as I began listening, I realised that it was a very familiar tune – Dean Martin’s The Man Who Plays the Mandolino. This should probably be going into the ‘inspired songs’ list! Awesome list! It was so nice to see a list on my favorite singer. I’m glad you liked it, Ini! I have a very soft spot for Hemant, as you can see! In fact all songs of Satta Bazar were evergreen, excellent Lyrics By Gulshan Paajee, may his soul RIP. Oh, yes! I love the songs of Satta Bazaar (one of the main reasons I saw the film). Another of my favourites is Tumhe yaad hoga kabhi hum mile the. How about this one from Sazaa, a romantic duet again with Dev Saheb and Nimmi Begum ?? No not seen Sazaa yet, but yeah got a VCD, do not recall from where and how, have to dig out and see it one of these days… er why dont we have 720 days in a year ?.). Hv yu kept any recordings ? Wud be fun to hear ’em ? p.s. and I must add a wonderrrrful collection of instrumental from Rajisthan, out of this world folksies. Cheers n good night til tmrw, back on the scene. Did we miss this DO ? Valo laglooo… really nice comments……. Lovely song, Ash! I seem to recall hearing it before, though can’t remember. Who is that behind all the shrubbery? Shivraj? BTW: No, don’t have any recordings of my tauji’s. Perhaps his son may have access to some. But at least as far as gems like Tum na jaane kis jahaan and Aayega aanewaala are concerned, the recordings of the song as sung by Lata are my tauji’s recordings too. :-) He was the one playing while Lata sang. So if you listen to this clip, his guitar is the one at 1:24, and so on. Yep it is Shivraj behind the SHRU-BERRY .) and yu know something I have a tendency to mix him and Chaman Puri, g8 artists no doubt, both of them. If yu can get Tum Pukar Lo let me know, will share the usual way. I didn’t know about Tum Pukar Lo: will check out the tracks of the album on the Sa Re Ga Ma site – I suppose they have the list there. Thanks for the information! Yes, tauji was a very good guitarist. His parents (my grandparents) were very staunchly anti-cinema, so it’s even more of an achievement that he defied them and managed to get a toehold into Bollywood. He used to have interesting stories to tell us – for instance, of his neighbour, Talat Mahmood and his family. Talat’s son Khalid used to play with Jalal Agha when they were children, and tauji used to sometimes listen to their childish prattle. It seems Jalal Agha had as wicked a sense of humour as his father Agha! My experience with these Co is not good DO, updating has never been their forte unfort, I am saying from my oldie goldies search…, hv a look and see the choice here. Gutsy Tauji, the pressure I can imagine, quite a few of my buddies had very very strict parents too and they were not allowed any movies at all, though we managed to brain wash at least 2 of our langotia yaars and secretly, we saw many movies together. One Sardar Paajee used to make wooden heals from his wood work shop) for ladies shoes and by selling them we used to finance the first day first show, first bench, we were 3 in latter years. Luckily my family all crazy for movies and we never had any restrictions. Hmmm… there are a lot of songs in that list that I don’t remember having heard (or maybe I haven’t heard them more than once, so can’t relate to them offhand, just reading a track name). Agha, by the way, was quite a scream on the sets too. He had a great (sometimes iffy!) sense of humour that used to be pretty entertaining. I wonder if there are any instances of good comedians who were terribly serious in real life. Just goes to show what a fine actor Rajendranath was! He was so funny, and I cannot even imagine films like Dil Deke Dekho, Mere Sanam, Phir Wohi Dil Laya Hoon etc without him. I must add two more names to your list of great comedians: Om Prakash and Keshto Mukherjee. Both of them were fabulous too! Oh yeah how cud I forget. I knew I was certainly missing a few names, thx a lot for filling them in. Om ji and Keshtoda also chip of da ol block, must keep on adding more as they come into our memory ‘blocks’, yu can say Gulshan Bawara Saheb was another one who had the flair of kaamedy, besides ofcors writing songs, Polson yeah yeah, Meher Mittal Paajee the Punjabi ace,Kamal Mehra- remember Budtameez with Shammi Bhai ?,and from good ol 50 s and years ahead BABU SHEIKH BHAI, was in many DARA Singh and mythological movies. Bhagwan Dada, Anup Kumar, Utpal Dutt, Asit Sen, Dhumal, Mirajkar, Mirza Musharaff.Jagdeep, Charlie,Kumud Tripathi and why shud we leave the ladies behind DO >>>? Yes, there’s a regular pantheon of the comic kings and queens of Hindi cinema, isn’t there? I don’t have the time or the energy to create yet another blog, but have you checked out the artists’ gallery on Greta’s blog? I think most of these people feature there. No no DO wasn’nt thinking on terms a full fledged Blog, I understand it takes time and eneeeergey to maintain it, what I had in mind was a simple Gallery. Only names and if people can add photos and new names if they come across ! Oh yeah very much in with G’s AIG, see most of them there, and adv as and when I see new ones also, but hat is a GENERAL Gallery….. But koyee baat nahin if not possible. umr hui tumse mile phir bhi jaane kyoun	-Hemant Kumar, Lata Mangeshkar. MD Chitalkar Ramchandra Bhau and Lyricist	Sahir Ludhiyanvi	Saheb and the phillum is Bahurani ?? Folks do check out songs from Ek Jhalak also on YT of Hemantda, yu will love ’em. Thank you for the Ek Jhalak recommendation! Here’s a lovely song I found from the film: Yeh hansta hua kaarvan. …and another song, sweet and very peppy: O gori chori-chori jaana buri baat hai. Oh really was not aware that Bahurani was remade as Jyoti, my knowledge kinda is less after 80’s, so thx a lot for da update. Thank you for Umr hui tumse mile, ash! I began listening to it, and tut-tutted at my bad memory: how could I have forgotten that song?! Very romantic and nice. (BTW: the Jeetendra-Hema Malini version is pretty forgettable. Bahurani is definitely better). Wah, Ek Jhalak certainly has quite a star cast. I’ll look out for it! Yeh jhoomte nazaare is a good song too… it reminded me of some song, I can’t quite figure out which; some thing with Dev Anand in it, B/W film? I don’t know; the orchestration etc somehow sound very familiar. Here are some duets between lata and hemanth which haven’t been mentioned here. Incidentally I posted the video of ‘Door Gagan Ki Chaaon Mein’ on youtube. Nice to find it being discussed here. Hemanth’s voice reaches new heights in this one. One of my fav’s. There is also a version by Lata Mangeshkar, as a Shraddanjali to Hemanth. Its up on you tube. A great mystical song for me. I grew up listening to these songs, and reminds me of my grandparents. Nostalgia! Love all the songs you’ve posted so far. So many great renditions and compositions by this underrated genius. hemant kumar voice can be compared as rasu gullah immersed in honey. wonder his voice would be when he used to speak. hai. my current favorite is yaad kiya dil ney khaa ho tum from patita. dedicating to him. matlubi jhaa meherbaan ho tum. pyaar sey pukaar lo jhaa ho tum. At least add ‘ji’ or ‘shahab’ after the name of such great personalities gulzar sahab and hemant da. Show some respect! It seems my comment has disappeared, so writing it again (sorry if it appears twice). You know, you needn’t come by and inform me every time you post a new entry on your blog. Since it is on my blog roll, I will check it out. I go to all the blogs on my blog roll everyday to see if there’s anything new. I may or may not comment on new posts depending on whether I think I have anything to say, but I will certainly visit – and read if I am interested in the subject. Oh I am so sorry. Often I get carried away with my enthusiasm for sharing things that I love. And it is wonderful to know that you visit all the blogs on your blog roll. Always lovely to have you visit. Oh, no need to apologize. :-) Just saying. Heard it. “”Na kisi ko chah meri, na kisi ko intezaar….” Shammi looks so good and Hemant’s voice suits him pretty well.